Britto Charette pulled out all the stops in this luxurious high-rise located in the Trump Hollywood Building in Hollywood, Florida. The 1,800-square-foot apartment was given a warm and modern look and a reconfiguration of the space. Our clients wanted us to open up the apartment to achieve the “loft feel” they desired. We converted the 3 bedroom/3.5 bathroom condominium into a 2 bedroom/3.5 bathroom luxurious space. 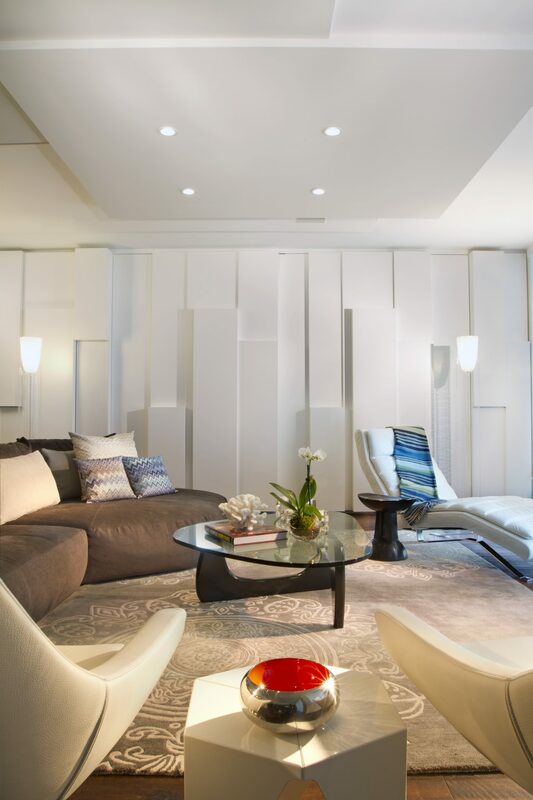 Fabulous headboards, innovative wall partitions, and gorgeous ceiling details complete the stunning residence. Concrete tiles from Earth Elements in Ft. Lauderdale; rug from Artefacto; wall and ceiling design and details by Britto Charette; and many more.